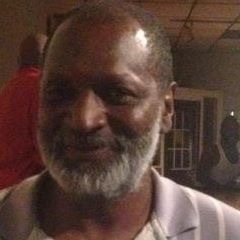 Obituary for SYLVESTER JEROME ("BOOMBOOM") BRONSON, SR. | Beverly C. Draper Funeral Home, Inc.
SYLVESTER JEROME ("BOOMBOOM") BRONSON, SR.
Sylvester Jerome "Boom Boom" Bronson, Sr. departed this life February 7, 2019. Sylvester was born February 24, 1944 to the late William and Zadine Bronson. He was a former member of Union Baptist Church, Monessen, Pa. He was a retired worker from Canestrals of Belle Vernon. He was a Brother of the Okay Lodge #697 of Monessen where he held the offices as Exalted Ruler, Inner Guard and Tiler. He was a fun loving person who loved his family and everybody enjoyed being around him. You could always see him walking through town and waving at everybody. In addition to his parents he was preceded in death by three brothers; John and Russell Bronson and Donald Payne, three sisters; Cleo Whitlock, Emily Jackson, and Nadine Ross. Sylvester leaves to cherish memories, one daughter; Lisa Ann Ranell (Mario) Sans, one son: Sylvester Jerome Bronson, Jr., one brother; William N. Bronson, Two sisters; Jessie Grant and Noryne (Major) Corley, one sister in-law; Donna Payne, six grandchildren; Alissa Sans, Maria Sans, Rochelle Brown, Kathryn Wilson, Isiah Allums and Vincent Coldran, a devoted friend; Tony Jones and a host of nieces, nephews and friends. Services will be held Friday, February 15, 2019 at the Union Baptist Church, Monessen, Pa. at 11:00 am Okay Lodge service will begin at 11:30 am .